It has been over fifty years since the City of Detroit has elected a mayor that was not a Democrat, and its city council has also been long dominated by Democrats. So it is hard to understand why the people of Detroit continue to reward the Democrats with re-election to office, considering the monumental failure they have created in that once economic powerhouse of the auto industry known as the “Motor City USA”. The recent announcement that the city of Detroit would be moving into bankruptcy really came as no surprise, it has been coming for some time. The writing was truly on the wall, when back in March of this year, the Governor of Michigan, Rick Snyder (R), announced that he would be appointing an Emergency Manager for the City of Detroit. This of course was met with disapproval from the Democrat controlled city council, along with unions and others who have, for far too long, been allowed to suckle at the teat of a progressive city council willing to hand out money to political friends and allies. The Emergency Manager was empowered to negate contracts with public employee unions and venders, to consolidate or eliminate government agencies, put city assets up for sale, cut services, and recommend municipal bankruptcy. Of course in a city whose population is 82.7 African-American, it is not surprising that there is also a racial element brought into play here, add to that, the fact that it was a white Republican governor who appointed the Emergency Manager, and it has all the makings for another media circus to continue the current climate of racial unrest in the nation. When you have people such as Malik Shabazz, chairman of the New Black Panther Party, and others making statements about the racial element of the issue, it is not hard to see how some may believe it is a white against black issue in Detroit. But of the current seven city council members, there is not a single white or Hispanic or Asian member. Now of course in a city where the population is 82.7 percent black that is not surprising, but by the same token(no pun intended), it is unbelievable that anyone would try to claim that it is a racial issue causing Detroit’s current problems. And they are not small problems by any means. Once the nation’s fourth largest city, and home to its largest industry, automotive manufacturing, the city’s population has been cut in half, from 1970’s 1.5 million, to less than 700,000 in 2012. The median household income is $27,862 compared to the state median of $48,669. The poverty level is 36.2 percent compared to a statewide level of 15.7, and the murder rate is 11 times that of New York City (and yet the Rev. Sharpton hasn’t marched there for justice), and the unemployment rate is above 18 percent, more than double the national average. Another constant staple in the Democrat diet fed to voters is education, well the Detroit Public Schools have been under emergency management since 2008. In 2003, the Detroit Federation of Teachers, with the help of Democrat elected officials managed to turn back a $200 million offer by businessman and philanthropist Robert Thompson to build 15 charter schools in the city, so today the Detroit Public School system is in ruin and failure, all due to the control of the Democrats and their union friends. In February, the state review board revealed that the city faces a short-term cash budget deficit of $327 million and an estimated $14 billion in long-term debt, primarily driven by unfunded pension and retirement health care obligations. Another problem directly attributable to the long historical political alliance of the Democrats and unions. The city’s budget woes are so dire that certain firehouses are closed on any given day, street lights go unrepaired, and the city is now concentrating its limited resources to selected communities, that have been determined to be “savable”. In response to the lack of public services being offered, 47 percent of the owners of Detroit’s 305,000 properties didn’t pay their property taxes in 2012. Now of course this is an act of defiance that will only add to the downward spiral of the city. But in fairness, Detroit property taxes are some of the highest in the nation, amounting in some cases to as much as ten times the market price of the property. The City of Detroit has been under Democrat rule since 1961 when the last Republican Mayor lost his re-election bid. What has followed has been a string of Democrats who have done nothing for the city and its people. The list of corrupt and crooked people at the helm of the city boggles the mind. Add to this the personal baggage and one has to scratch their head trying to figure why the people of Detroit continue to reward the Democrat Party for this shining jewel of progressive failure known as Detroit. But Detroit is not unique, we can look around the nation and see Detroit played over and over again, where Democrats have been in control for any amount of time, we find economic and social failure. We find plenty of offered services from the public sector, but at some point the lie is proven. This level of corruption and cronyism is unsustainable. This level of taxing and spending will without fail cause people and industries to flee the encumbrance of over regulation that goes hand in hand with the centralized style of governance seen in Detroit and around the nation in other Democrat controlled cities and states. It is time for the people of Detroit to wake-up, to see that the promises made over the years, by a catalog of Democrats, have never been fulfilled. It is time for the people around the nation to realize the same thing, to look at the example of Detroit and its history, and to learn from its mistakes, and to stop rewarding the Democrats for failure. 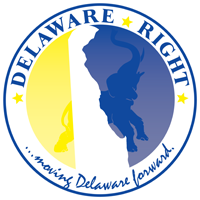 And while you’re at it, take a look around our own little state of Delaware, that is currently suffering from one party rule, and tell me you don’t see the same writing on the wall, in the future of some of our cities. 8 Comments on "Quit Rewarding Failure"
Detroit is living proof that those things which can’t go on forever, will not. For years and years the government workers elected those who promised more an more when there was less and less. In a funny method of money laundering where political contributions begotten by taxpayers were cycled right back to elected officials. For those who say the downfall of Detroit is because car makers failed I thought Obama SAVED the car makers? It’s time for other states to wake up to realize Socialism will never work regardless of the political party. It’s time for delawareans to wake up to the realization that the slogan moving Delaware forward is just as empty as the the promises made by Detroit’s democrats. Conservative values are being compromised to be appeal to left wing liberal LGBT community. Independent Consultant, now who could that be? Who do I know who can’t make a point on an issue and so simply makes insulting comments. You don’t say what a Republican city government would have done differently to stop the “white flight” of population or capital flight by the Big Three automakers that drained Detroit of it’s tax revenues. delacrat. “white flight ” was fueled by fear following the “67” riots and I don’t believe that any political party could have stopped that, though in the almost fifty years little has been done to turn the city around. As for the auto makers leaving, well like in most cases of large industries, the constant cry of the unions for more, more benefits and pensions and fewer hours for higher pay, which forced creation of more employees and union members, but which created higher cost for the employers forced the employers to seek other places that were friendlier to the industry. The support that the unions received from the Democrat controlled government also contributed to the decision. Factor in the history of more restrictive regulations coming from more progressive styles of government and the dye was cast. I think that there is a direct link to the city of Detroit’s problems, to the symbiotic relationship between the Democrat Party, and the unions. The thing that is forcing the City of Detroit into bankruptcy is the unsustainable promises made to unions for benefits and pensions. A more conservative council, or one with at least an opposition to the complete control of the progressive ideology that has dominated the city council for fifty years, I believe, would have given the city a chance to pull back from the cliff of the lie that is liberalism. I asked what a Republican city government would have done differently from the Democratic administrations. With respect to “white flight”, you admit “no political party could have stopped that”. Well if you Republicans don’t have an answer for that, don’t fault the opposition for not having it either. The average monthly pension for a Detroit city worker, retired in 2011, is $2,204. S/he is not retired on the French Riviera. Although you claim “more restrictive regulations coming from more progressive styles of government”, implying that a Republican administration would have, “unregulated” a better Detroit. You don’t trouble to cite a single Detroit city ordinance or regulation, be they “restrictive”, “progressive” or whatever, as contributing to Detroit’s demise, much less explain how it did so. Before you wag your finger at the unions, Democrats and city workers who stayed in Detroit and attempted to make a go of it, while others left the ship, learn something about what your talking about. delacrat, you were the one who brought up “white flight”, not me. I answered you honestly. Are you saying that minorities can’t make a successful go at it without white people around to fund them? If you are so blind as to not understand the unfunded pensions and life time benefits for union workers are what derailed the auto industry, well then there is little hope of me explaining it to you. You quote $2,204, for a retired city union member. So tell me, where does that $2,204 come from? it comes from the wages of current city workers and tax payers. That is money that is not in the economy. You have also completely ignored the property tax rate in the city, why would anyone, white or otherwise move to Detroit? And yes you could deregulate Detroit back to success. By lowering the property tax rate and spurring growth, which would create jobs, other than union jobs. Tuxamus Maximus, after much discussion around here, has to go with delacrat on this one Mr. Knotts. One of us grew up in Livonia and without having been there to see the tail end of the decay of the entire Detroit metro and suburbia regions in his years before and the many years before that it’s literally impossible to find fault with any party, or any person or persons, for what happened to that entire region or the way things were run. It’s been an ongoing process well over 40 years in the making and NAFTA sure didn’t help. Blame whoever or whatever you wish but the real culprits, over the many years were the automakers. Unless you deregulate to a point where pollution is legal in every way it’s just not going to happen and hasn’t happened for many reasons. Lowering property tax rates wouldn’t help either. Blood from a stone kind of thing really. Property taxes aren’t being paid on properties that aren’t, and won’t be used for any purpose. You may have something with the union argument but what was done is done and it worked well for many many years even into the 80’s. Detroit built some junk in the mid to late 70’s and into the 80’s as well. Job’s moved and disappeared in many ways and not all of them were union jobs. When executives, and engineers/others with high paying jobs moved away to other locations they took their money with them as well and stopped paying property and sales taxes. Many of the support industries to the automakers didn’t pay union wages and they are all gone as well. Similar to the DuPont Nylon plant that apparently used to be a huge economic engine in Sussex for many years/generations. That the employees there were union isn’t known to be the case but the employees apparently did very well, including benefits, but the support industries and subcontractors working in/around the facility probably didn’t get much more than a living wage. Tuxamus Maximus thinks delacrat made some points that didn’t get fully addressed and unless you know a family that goes back generations (Post WWII) to have either lived or been told about the rise and decline of the whole of Detroit by those generations, you or anyone else just can’t place blame on any one thing, group or entity short of the Big 3.